Our knowledge about how to teach has actually improved. … Thoughtful research on how children learn has paved the way for dissemination of better classroom methods and instructional materials as well as a much clearer understanding of students who have trouble learning in traditional ways. It hardly seems reasonable to believe that the majority of teachers have suddenly become so much worse. In any school I visit I find many good, dedicated professionals. They claim tried-and-true methods aren’t working anymore. Why? (p. 17). Healy is just one of many educators who for decades have been drawing our attention to specific concerns and the need to approach the education of students much differently. The current problems appear to have two sources: (1) The ‘target’ has been moved—i.e., the goals of education have changed from fulfilling the needs of an industrial economy and society to meeting the needs of a more diverse world and its ‘creative economy.’ (2) Our students have themselves changed—culturally and even bio-chemically. But the mechanism for getting them to the target, the ‘one-size-fits-all’ mental model, institutionalized in efficiency-oriented ‘factories’ of education, has not only failed to adapt effectively, it has been seeking solutions in precisely the wrong direction: toward more rigorous standardization—putting all of its faith in finding ‘magic pill’ meta-answers. The solution for delivering education that gets today’s students ready for the modern world lies in flexibility, diversification, and individualization. Our students have moved past the structure of traditional classrooms. They have different problems, different gifts, and dramatically different brains. They are clearly indicating that educators can achieve amazing results, if only they will refocus their efforts toward the teaching of individuals. As educators we have at our fingertips a plethora of resources to help us identify how our students learn, their personality preferences, and how that information affects or advances an individual students performance. We also have a solid body of material to accurately assess and articulate specific learning disabilities, learning styles, and learning challenges. Using these tools we can ensure that each individual student can reach his or her full potential. We are, however, at risk of not having or taking the time to properly understand our individual students. Often in education we lump hundreds of skills together and refer to them as if we were speaking of one component. ‘Learning’ is one word, but it represents thousands of complicated interactions. ‘Trouble reading’ might be caused by one or a combination of several hundred small idiosyncrasies of our brain’s development. ‘Poor spelling’ is a complex mix of many individual components of the learning process. ‘Memory’ too falls into this category. When many individual ideas are considered, synthesized, and reorganized, they are activated in the mind in such a way that they converge and reside as a bundle appearing to represent one memory. ‘Memory’ is often blamed or credited for an astounding array of qualities and circumstances. In learning situations, we often claim that, it is our memory that failed us or saved the day. Our thinking skills get ignored. Students who have diagnosed difficulties with learning often cite ‘memory’ as the culprit and students with attention difficulties will often refer to a medication that ‘fixes’ memory and wish they too could have that ‘memory drug’ in order to miraculously become a better student. Many parents and teachers share this misconception. The search for one special pill to fix our educational challenges obscures the complexity of the teaching and learning process, especially with our most at-risk students. Although it has been fashionable to assess individual differences, at the same time we search for one efficient method to make us better educators, for the most efficient way to test, for that one special program that holds the key to all the shortcomings of a complex educational institution. We especially fall into this “bundling” mentality when we discuss learning disabilities. The extreme complexity is often clouded by the ‘oneness’ of the definition causing us to oversimplify the complex continuum of learning difficulties. I believe this leads directly to much of the misdiagnosis and misunderstanding that is becoming epidemic when dealing with so many of our students. But educators and educational institutions have not kept pace with our changing student’s minds. When we consider the issue of changing brains, we must acknowledge that not only will students display profound differences in processing information, but also may have a decreased attention span, an inability to regulate emotional life, and a deterioration in other non-intellective factors needed for efficient learning. Students’ natural learning preferences offer a comprehensive guide to both their gifts and many potential learning challenges, but often we choose to ignore those natural tendencies, opting for a one-size-fits-all approach. In addition to such neurobiological changes, cultural changes also contribute to the shifts in our students. I have worked with hundreds and hundreds of ADD/ADHD students over the years; and while I don’t think that any one type correlates with attention deficit disorders, I have observed that EPs and SPs are sent more often than other types for assessment of attention concerns. They may also be misdiagnosed more often. I would venture to guess that ADD/ADHD is one of the most misdiagnosed exceptional needs of this century. Dr. Edward Hallowell (1996), a specialist in attention disabilities, has observed symptoms that he calls pseudo-ADD: “Many other conditions can mimic ADD; not the least of those conditions is modern life. … In children and adults, modern life induces a syndrome I call pseudo-ADD.” He attributes this syndrome to the accelerating advances in technology: “We have so speeded up our lives, and our children’s lives, that we feel constantly distracted and restless, two of the cardinal symptoms of ADD” (p. 102-103). And as hyper-connected as we are electronically, we are disconnected socially. The virtual network of our society creates distraction, insecurity, and displacement—all symptoms typical of attention disabilities. Natural Adaptive State or Pathology? With beginning readers we know that often Sensing types get behind in school almost instantly because of their natural focus on accuracy, tackling one word at a time, never skimming, often not using context clues or phrasing techniques. Intuitive types get ahead instantly because of their tendency to sacrifice accuracy for the sake of getting on with reading. Intuition is associated with comprehension, inferred meaning, and abstract concepts, in contrast with Sensors’ practical approach to reading by seeing all the facts and never missing a detail. When learning to read, young Sensing types remain on word one or two of the story, waiting for the teacher to help with word three, while young Intuitives have read only half the words but understand the story, instantly moving to depth of comprehension. Without an understanding of typology, an unsuspecting educator or parent might misinterpret the Sensate type’s need for accuracy as a reading disability or mental slowness. These characteristics stay with us through school and post-secondary classes, especially when writing exams. When addressing test-taking skills or exam preparation with pre-college or college students, this is the first place I begin. Many ENFPs encounter a particular problem as students, which can easily be misinterpreted as a learning disability. The combination of dominant extraverted intuition (Ne) with its excitement at random, unconnected possibilities, with auxiliary introverted feeling (Fi), which can exhibit instant and total withdrawal when core values are violated, can completely alter the educational trajectory of ENFPs. I encountered a young ENFP student who had been referred to a vocational training school and had scored in the lowest 25th percentile on the WISC-R®. It was believed that any regular subjects would be totally beyond his capability. His father thankfully refused to send him to the vocational school and registered him in our regular high school. The diagnosis had been reinforced for so long (~5-6 years) that he had begun to act like a mentally challenged individual. His walk, his speech patterns, and his mannerisms suggested someone who was mentally incapable of interacting with his surroundings. His bow tie, hat pulled over his ears, and raging attention problems certainly didn’t help. This was the most alarming case I had ever encountered. When we spoke to him in front of other students we received a Forest Gump type response (a movie he refused to watch) but when I spoke to him privately it was like speaking to a colleague—except that he was more articulate. The contrast between his visual presentation and his verbal skills was extreme. When reassessed, he was found to be exceptionally gifted with a combination of visual and auditory processing difficulties complicated by profound attention concerns. Originally he had been assessed in elementary school following an incident in art class when he totally stopped participating in any school-related activity. Unbeknownst to his task-oriented grade school art teacher, he had been identified at a very young age as artistically gifted. When she asked the class to draw a picture of a mountain, he produced a picture with varying shades of black and charcoal. His teacher reminded him of the ‘mountain assignment’ and he explained to his teacher that this was the nighttime view of the mountain. She did not accept or believe his answer. After this standoff with his teacher, he refused to do much in school until, in high school, a new assessment was made of his considerable skills. A reader of my previous article commented on the number of ENFP students who were at risk of dropping out or who had dropped out of the program. Most of those students were very similar to the young man just mentioned, in varying degrees. They had reacted strongly to a situation (Fi), usually with their instructor or instructors. They each allowed the sensitive nature of the situation to rule, resulting in the potential loss of a class or an entire year. But such sudden withdrawals are normal and common among people with a preference for introverted feeling, learning-challenged or not (Haas and Hunziker, 2006, p. 106). Webb et al. have described how the trends in diagnosing learning disabilities do a disservice to the genuinely learning disabled as well as the gifted, since “the characteristics of gifted children and adults can sometimes imply pathology when there is none” (p. 8). Intelligence can either intensify or mitigate the characteristics leading to misdiagnosis. For example, “Children who are particularly bright can, in the earlier grades, pay attention to only a small portion of the class period, yet because of their intellect they can still perform well on the tests or other assignments when compared with age peers” (Webb, 2005, p. 37). This is particularly true of intuitive students. Their ability to quickly gain meaning without noticing all the facts allows them to appear to progress even when they may be missing vital information. Their natural preferences and skills can then mask a learning disability well into their high school years. The tragedy is that then it is too late for many accommodations that would have reduced stress and allowed them to fully develop. Having had the gift of time with so many students, I was able to observe how so many of their natural style preferences were misinterpreted as more severe cognitive difficulties (see Table 1). ADD/ADHD: What Does Attention Look Like? The visuals in Figures 1 and 2 are taken from the notes of two male grade 11 students, one ESTP (Fig. 1) and one ESTJ student (Fig. 2), both diagnosed with ADHD. Although very different in personality and in severity of disorder, they had identical ways to cope with their attention concerns. Both students were considered bright and capable and both apparently wanted to do well in the classes they were attending. Each had a way of doodling and note-taking that was necessary to maintain attention, but their teachers considered their notebooks an insult because they did not understand that doodling was the method by which the student controlled his attention. If the students had been forced to stop doodling they also would have been severely hampered in their ability to attend to the task at hand. Each had hundreds of pages of doodles. The students diagnosed with non-verbal learning disorders (NVLD) or Asperger’s Syndrome exhibited the most astounding reaction to learning about personality type of all our exceptional needs students. I would never make or recommend any adjustments to a program based solely on type preferences, but there was a spectacular side effect to instruction on type theory: The NVLD and Asperger’s students could synthesize all the details of the model immediately. In fact, type theory gave them a framework for observing the actions of others without initially requiring them to actually get involved with people. They could sit back, observe groups in action for long periods of time, and use their type information materials to match actions to the type profiles. This gave these students an orderly, theoretical road map which opened up for them a way to view other individuals and the seemingly mysterious choices they make. For example, one young man observed a group of students learning basic sign language for almost seven months before he felt comfortable approaching. For two more months he sat with the group like a stone figure, though in his own eyes he was participating with enthusiasm—which, I suppose, he was. He and I used type language to talk about how others like to be approached and to help him feel more at ease with people. It gave him a roadmap to help understand people. It was like having organized notes for approaching life. But it is also essential that such students receive guidance and support when they choose to engage in social situations. Typology provides these individuals with a safe, orderly framework to begin to understand personal preferences other than their own. The similarities of their characteristics to either giftedness on the one hand or to type preferences on the other hand are outlined in Table 2. As a teacher of the most learning-challenged students, I experienced a desperate need to individualize instruction. As an ISFP, I was immediately captivated by the concept of psychological type—less for the theory than for its practical application. But when I began to learn the statistics documenting the SP’s uneasy relationship with the traditional school system, I found it difficult to accept. How could four of the sixteen types have such a challenging relationship with the school system? In spite of my skepticism, once I began to view classroom situations with an understanding of personality type, I saw the pattern play out again and again. SPs have extraverted sensation (Se) as either the dominant or auxiliary function, and this function seeks action and interaction with the immediate environment. Therefore, SPs are often the victims of a mismatch between the structure of an educational institution and their own personality preferences. A disproportionate number of our drop-outs or potential drop-outs had the SP profile (see table in previous article). Often this group of students are also misdiagnosed or misplaced in special programs for students with cognitive processing concerns, as a result of IQ testing. The narrow assessment practices in many school systems continue to label many students incapable of learning—i.e., as ‘unintelligent,’ as Sternberg (1997) observed: “A Yale study, based on the premise that intelligence has analytical, creative and practical aspects, shows that if schools start valuing all three, they may find that thousands of kids are smarter than they think” (p. 20). We must guard against being ruled by standardized competency exams and yet we must train our students to approach them without allowing these exams to rule our classrooms. Cherkes-Julkowski, M., Sharp, S., & Stolzenberg, J. (1997). Rethinking attention deficit disorders. Northampton, MA: Brookline Books, Inc.
Diamond, M. & Hopson, J. (1998). Magic trees of the mind: How to nurture your child’s intelligence, creativity, and healthy emotions from birth through adolescence. New York, NY: Penguin Putnam, Inc.
Haas, L., & Hunziker, M. (2006). Building blocks of personality type. Huntington Beach, CA: Unite Business Press. Hallowell, E. D. (1996). When you worry about the child you love: Emotional and learning problems in children. New York, NY: Simon & Schuster. Healy, J. M. (1990). Endangered minds: Why our children don’t think. New York, NY: Simon and Schuster. Kotulak, R. (1997) Inside the brain: Revolutionary discoveries of how the mind works. Kansas City, MO: Andrews McMeel Publishing. Mitra, S. (2013, February). How to build a school in the cloud, TED Talk [Video file]. Retrieved from http://www.ted.com/talks/sugata_mitra_build_a_school_in_the_cloud. Sternberg, R. (March, 1997). What does it mean to be smart? Educational Leadership, 54(6), 20-24. Webb, J. T., Amend, E. R., Webb, N. E., Goerss, J., Beljan, P., & Olenchak, R. F. (2005). Misdiagnosis and dual diagnosis of gifted children and adults: ADHD, Bipolar, OCD, Asperger’s, depression and other disorders. Scottsdale, AZ: Great Potential Press. West, T. (1997). In the mind’s eye: Visual thinkers, gifted people with dyslexia and other learning difficulties, computer images, and the ironies of creativity. New York, NY: Prometheus Books. Thank you, Kate, for sharing your experience with us. As editors, Mark and I felt it vital to get this article in print, for all the reasons you have mentioned. Thank you for compiling Table 1. Brings together lots of previous material, and adds some new. Really good stuff. This is so insightful. My ENTP son (now 32) was diagnosed with ADHD in 1st grade, and struggled in school with impulse control, and with planning for long-term assignments such as science projects, term papers, etc. On the other hand, he was reading very early and continues to be a voracious reader. Interestingly, he is an excellent writer, and excels at test taking, in direct contrast to his poor track record on completing regular daily assignments, regardless of how much structure or positive reinforcement we provided to support him. He’s still an idea-generating machine who has all sorts of enthusiasm for new possibilities and “fun,” but continues to have trouble executing a plan and making progress against goals. And, true to his NT temperament, his quest for competence and skepticism about others’ competence continues to define his adult relationships, making a career progression difficult. 1) A high school student was advised by his guidance counselor not to go to college but to try for a career in something like physical education. He is now the director of gene therapy at a major research institute and CEO of his own biopharma company. 2) A fellow who worked in the machine shop/plant of a company, trying to build machines that would make the company’s product, was fired for being “unmanageable.” So he founded his own company which now has enough assets to buy the company that fired him. The great thing about ENTPs is, all you have to say to them is, “That’s impossible.” They love to prove you wrong. As a very experienced educator ( I did not want to say old) I have had the pleasure in the last few years of encounter former students and now their children and as Carol just mentioned could relate countless success stories of students who someone predicted would not be successful based solely on a limited view of school performance.As educators we have to realize that we are only seeing a snapshot of the student’s life, strengths, gifts etc.etc.etc. I am always so gratified when I meet former students and they are so often able to shine in a chosen profession,career or family life. I sometimes think if we could just get kids through school they will be able to soar to the heights they were meant to achieve. ( a sad commentary from an educator) We can’t give up trying to make schools that safe place where evey student has time to find their own gifts. I am so pleased to hear from Kate and Janet. Again as educators we often squander the very valuable gifts that parents are able to bring to the teaching and learning process. They are their children’s first teachers and know them best. If we work in partnership with familes we have so much more valuable information at our disposal to help us honor individual gifts. 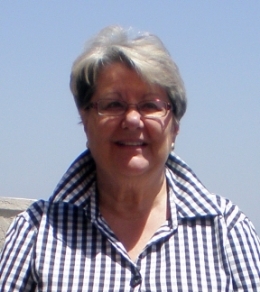 Mary Anne Sutherland (ISFP) worked for the Calgary School Board (Canada) for 32 years in grades K-12, serving variously as an Instructor, Learning Strategist, Assistant Principal, and Learning Diversity Advisor. She consults periodically with the National Sports School and was a speaker at the Brain Conference in San Diego in 2004 and the APTi conference in 2005. She was trained in the first MBTI Certification group in the early 1980s, and also had training by Mary McCaulley and Gordon Lawrence.